Sharing a few of the lovely garden areas I get to see on my daily walks. The begonia are really thriving . . . Anyone know what the vine on the fence is? It's always hard to get the flowers and the dog. And one last one I found in my files . . .
A few zinnias I had planted by our barn. Today I am restarting my tradition of ending each post with a horse photo. Perfect for garden photo's. Linking with Mosaic Monday. Click Here. Linking with Tuesday Garden Party at Jami's. Click Here. Lovely images. The flowers are beautiful and I love the dog and is that a donkey. So cute! Have a happy day! 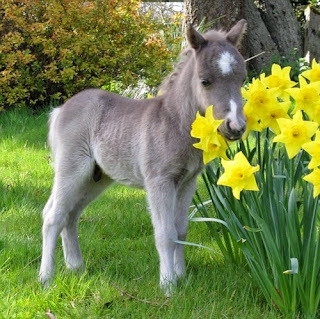 Such a cute little horse. The flowers on the vine look like some of our honeysuckles or maybe cross vine? Not an expert so we will see what others pick. 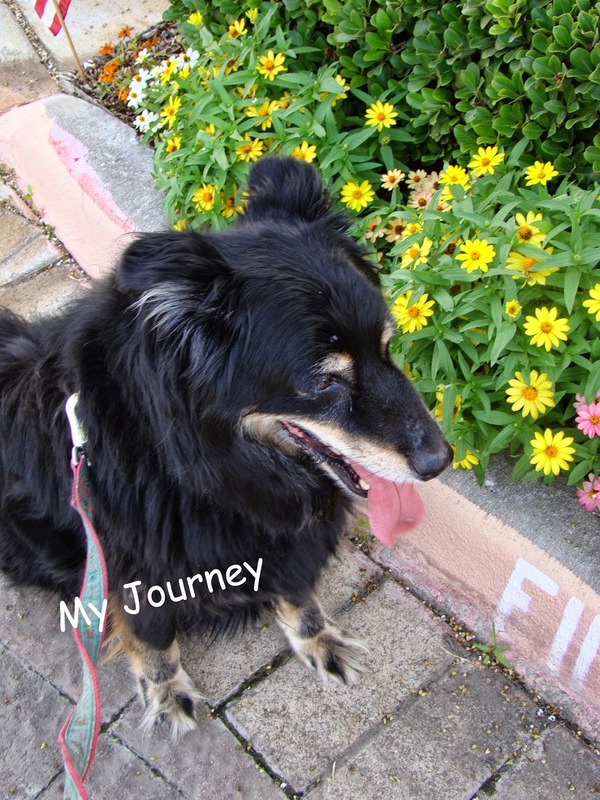 I can't see the flowers on the vine clearly enough to make a guess but I do appreciate your furbaby in the photos. The foal is sweet and ending each post with a horse is a great idea. These are some wonderful photos. I love the little colt. 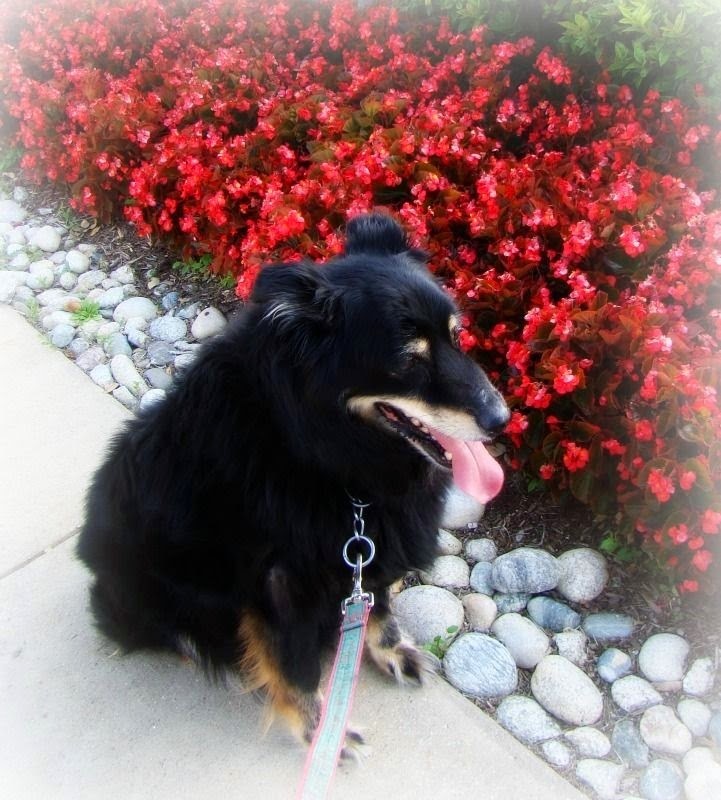 Your dog is adorable and he photographs well with the flowers too. Thank you for visiting my blog. I'm now following back! It is nice to meet you. 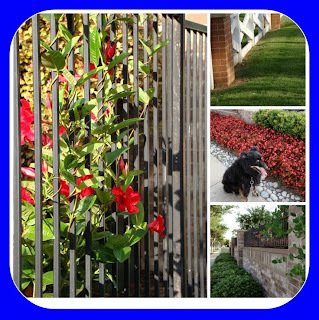 Lovely garden photos. That is the perfect horse photo to end with. Adorable baby.